On 9 November 2018, the University of Reading will formally announce that the names of nine members who fell in the First World War will be added to its war memorial. This will be the culmination of a long research process by community volunteers based in Special Collections. 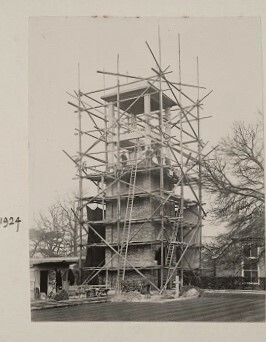 An image of the University of Reading London Road campus Clock Tower being built in 1924. (Image taken from the University of Reading Archives). 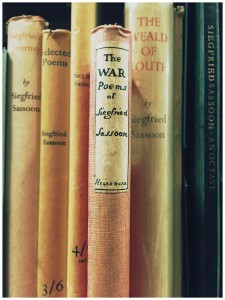 The genesis of the project dates back to 2013 and the Arts Council England-funded “Reading Connections” Project. One element of the project was to feed into the commemorations of the First World War. The University’s clock tower memorial, formally dedicated on 7th June 1924, lists those fallen servicemen with a connection to what was then called Reading University College. But this is not the only memorial. 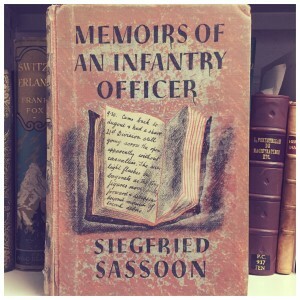 In the University Archives lay a somewhat overlooked volume containing photographs of many of those who fell. As part of the project, this was digitised and made freely available via Flickr along with a brief service and personal history of the individuals listed, well as information on their connection to the College, if known. Information came largely from 1911 census records, WWI service records, War Graves Commission records and the University of Reading Archive. Many people responded to this and added details to the Flickr site. The story did not stop there. One of the community volunteers, Jeremy Jones, continued delving into the histories of the men and women whose names appeared on the memorial and in the book. Jeremy presented a seminar in 2015 as part of a series looking at the First World War, in which he revealed many of the fascinating stories behind the names. As the research work continued, it became clear that some names had been omitted from the clock tower, the book, or both. 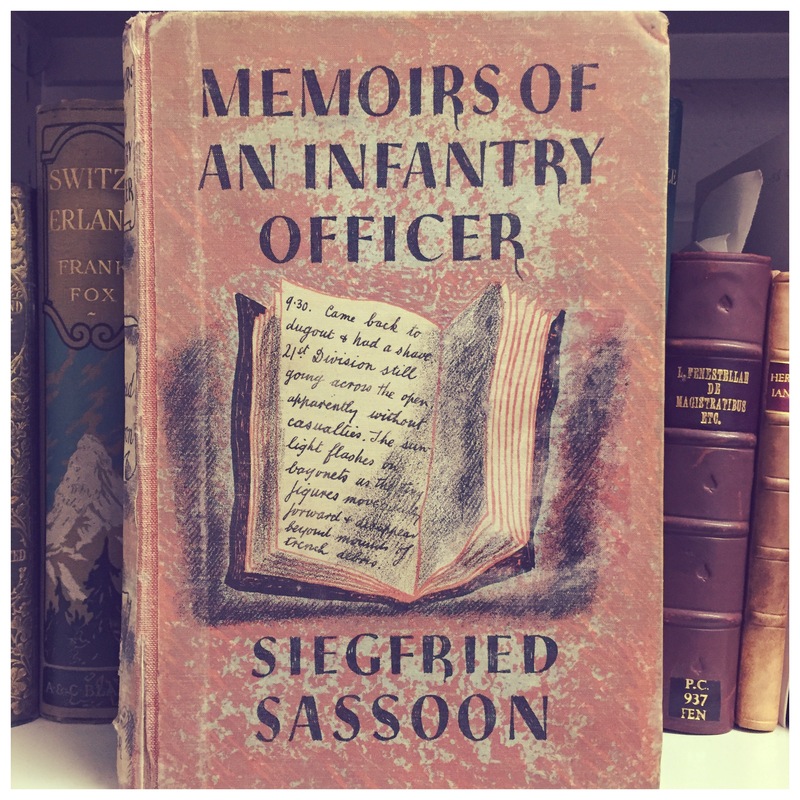 Although the College at the time was small, keeping track of every past student and staff member was not an easy task, and it is perhaps inevitable that there were some names that were missed, primarily through a lack of information, the “fog of war”. In one case, that of “laboratory boy” Charles Flint, the omission had in fact been noted by the first Vice-Chancellor, William Childs, as far back as 1927. A decision was made to wait until “perhaps three or four names come to knowledge”: it has taken a very long time. These discoveries were a call to action: the University quickly determined that some additional names should be added. Nine have been identified so far. On 9 November 2018 the Acting Vice-Chancellor, hopefully joined by representatives of some of the services and units in which the men served, will announce the names. Also present will be staff and students of the University, who are also the successors of these nine men. The research work continues and more names may be uncovered and added. Some will forever remain unknown, but their sacrifice, made a century or more ago, is not diminished by that. If the first casualty of war is truth, then by adding these names we hope to make some recompense by painting a more truthful picture of the extent of the sacrifice made by our forebears. Born c. 1884 in Bradfield, Berkshire. Employed at Wantage Hall, described as a “waiter” or “servant”. Served in 4th Btn Royal Berkshire Regiment. Died 16th August 1917. Buried in New Irish Farm Cemetery, Belgium. Born 1889 in London, Ontario, Canada. 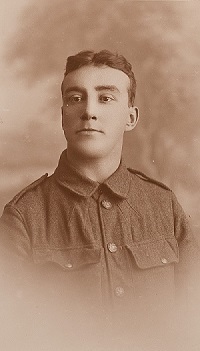 One of twelve local men who joined the Officer Training Corps at Reading University College on the outbreak of war, although not a student at the college (he had a degree from McGill University, Montreal and is on their honour roll). Served in the Royal Berkshire Regiment and the Princess Patricia’s Canadian Light Infantry (Eastern Ontario Regiment). Died 5th July 1917 at Avion. Buried in La Targette British Cemetery, Neuville-St. Vaast, France. Wilfred Edward Salter Owen MC. Image taken from the University of Reading Magazine Tamesis (Vol XXXII No 2), which noted that the image was provided by his mother. Born 1900 in Reading. Employed as a “laboratory boy” at Reading University College. Served as an apprentice in what was to become the Merchant Navy. Died 11th April 1916 at the Royal Hospital, Melcombe Regis. Buried in London Road Cemetery, Reading. Born 1893 in Shropshire. 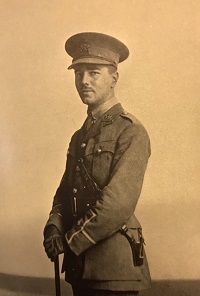 Famous as one of the leading poets of the Great War, Wilfred Owen attended Reading University College briefly in 1912. Served with the Artists’ Rifles and the Manchester Regiment, earning the Military Cross. Died 4th November 1918. Buried in Ors Communal Cemetery, France. Named in the Reading University College memorial book. Born c. 1874. Attended a course in the Faculty of Agriculture in 1905. In 1914 he was living in New Zealand but served in the Black Watch (Royal Highlanders). Died 16th November 1916. Buried in Contay British Cemetery, France. Regiment. Died 3rd October 1916. Buried in Euston Road Cemetery, Colincamps, France. Named in the Reading University College memorial book. Born 1886. Studied in the Faculty of Agriculture during the 1905-06 session. Served in the Middlesex Regiment. Died 27th February 1916. Buried in St. Sever Cemetery, Rouen, France. Born 1881 in India. Studied Fine Arts, 1902-06. By 1915 he was living in New Zealand where he enlisted and served in the Auckland Regiment, New Zealand Expeditionary Force. Died 21st May 1918. Buried in the Wellington (Karori) Cemetery, New Zealand. Born 1889 in Mansfield, Nottinghamshire. Studied in the Faculty of Letters, passing the Final Examination for the Diploma in Letters in 1912 and being made an Associate of the College in May 1913. A member of the Officer Training Corps. Served in the King’s Own (Royal Lancaster Regiment). Died 20th November 1917. Commemorated on the Thiepval Memorial, France and in the National Union of Teachers War Record. Post written by Guy Baxter, Associate Director of Archives Services. 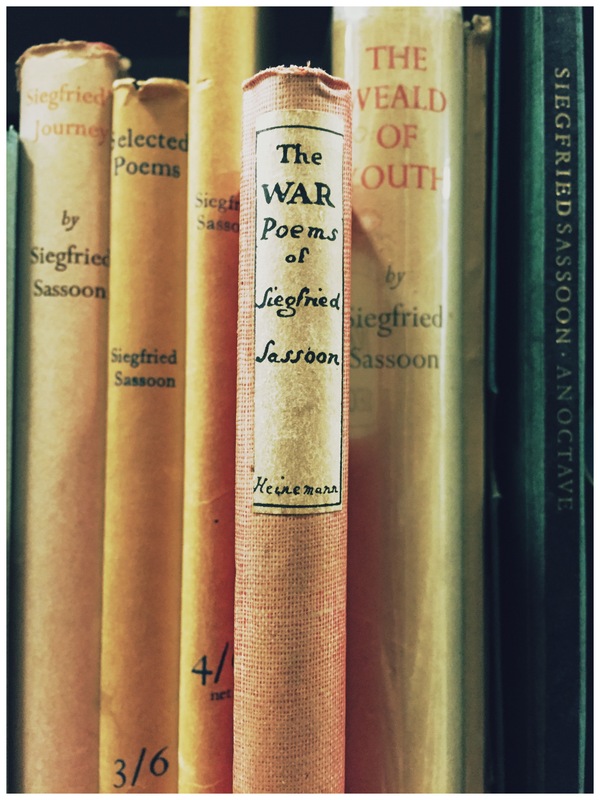 For more information on our archival material on World War 1, or if you have any further information on the names listed here, please contact us at specialcollections@reading.ac.uk.